Is Your Pilates Instructor STOTT PILATES Certified ? 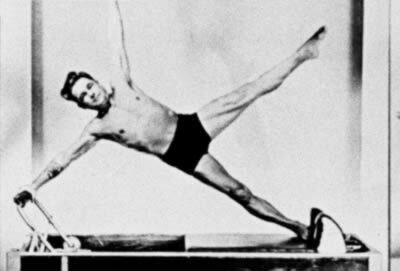 Joseph Pilates was born in 1880, as sickly child who suffered from rheumatic fever and asthma, he was determined to conquer his debilities and improve his physical condition. He went on to become an accomplished gymnast, skier, boxer, body builder, competitive swimmer and self-defence trainer. Interned in a prisoner of war camp during World War I, Pilates helped guards and prisoners to maintain fitness. Using his bunk, bedsprings and chair, he improvised the creation of the apparatus that was to become the Reformer, Trapezium and Wunda chair still found in Pilates studios today. During this period, a devastating influenza epidemic spread across the globe, claiming 50 million lives. Miraculously, there were no influenza casualties in Pilates' camp, a fact attributed directly to the fitness of the men. The British army then employed Pilates to assist in training the British troops. After the war Joseph trained many athletes and being a boxer himself was sought out by Max Schmelling the heavy weight boxing phenomenon of the time. Max was offered a title championship fight New York and he took Joseph with him. After emigrating to New York and setting up his first proper studio he became well known by the top modern and ballet dancers of the time. He continued reading and studying and wrote several books on fitness while continuing with his teaching. Romana Kryzanowska a ballerina got to know Joseph through an injury and became a firm convert to pilates. After Joseph died in 1960 Romana kept pilates alive by continuing with Joseph's work at his original studio in New York Moira Merrithew also a former ballerina spent 2 years training and apprenticed to Romana Kryzanowska and then, with a team of fitness professionals, went on to include modern principals of exercise science and spinal rehabilitation to make the STOTT PILATES method safer and more effective.